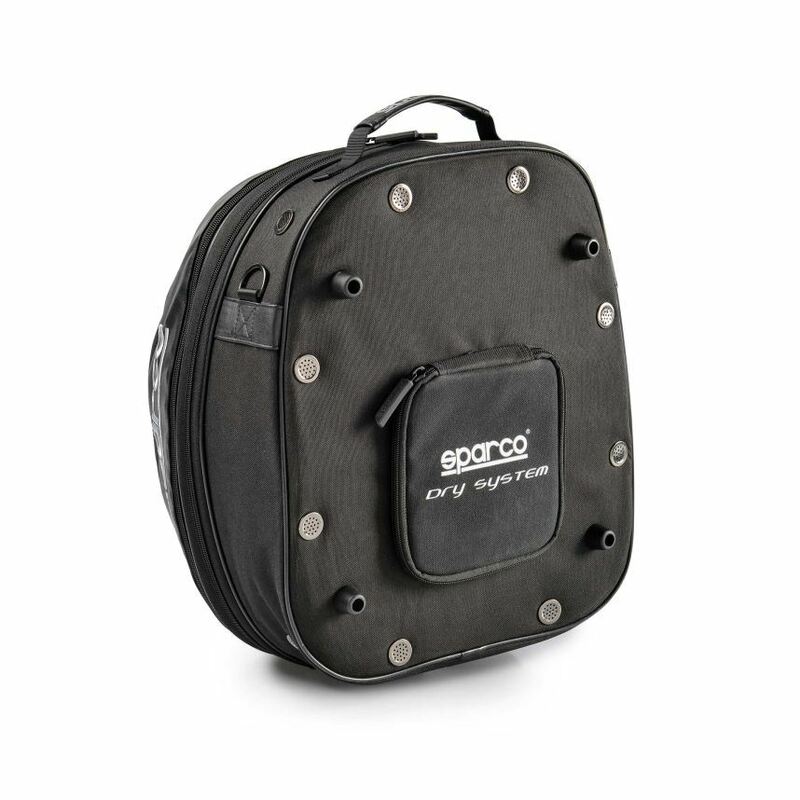 This innovative helmet bag from Sparco is designed with enough space to comfortably house a helmet and FHR / HANS device and keep them safe from knocks are scratches. 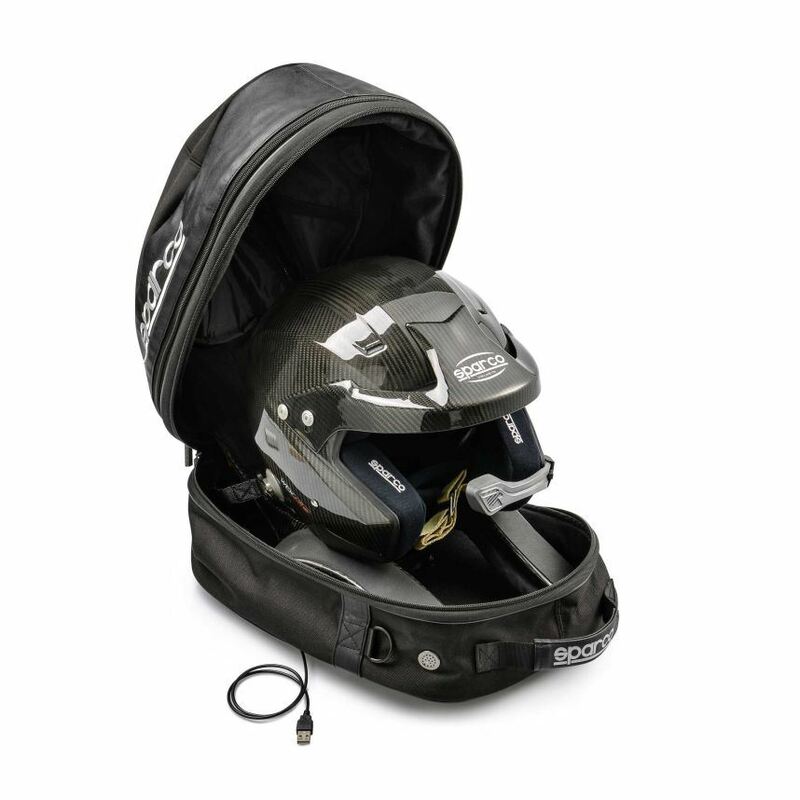 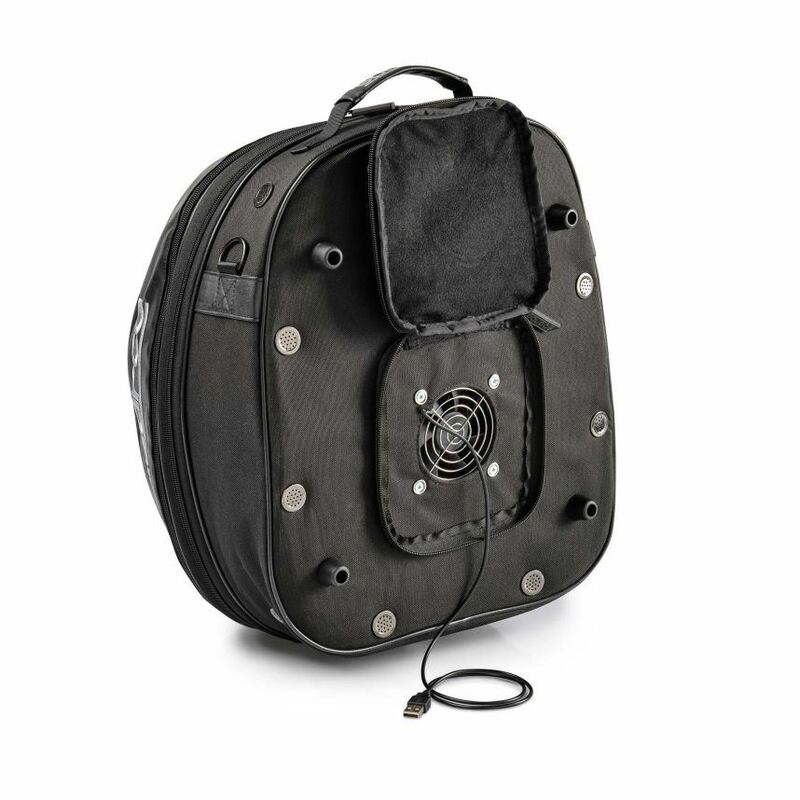 What sets this bag apart is the inclusion of a USB powered drying system which circulates air around the bag keeping your helmet interior dry and fresh ready for your next race or test session. 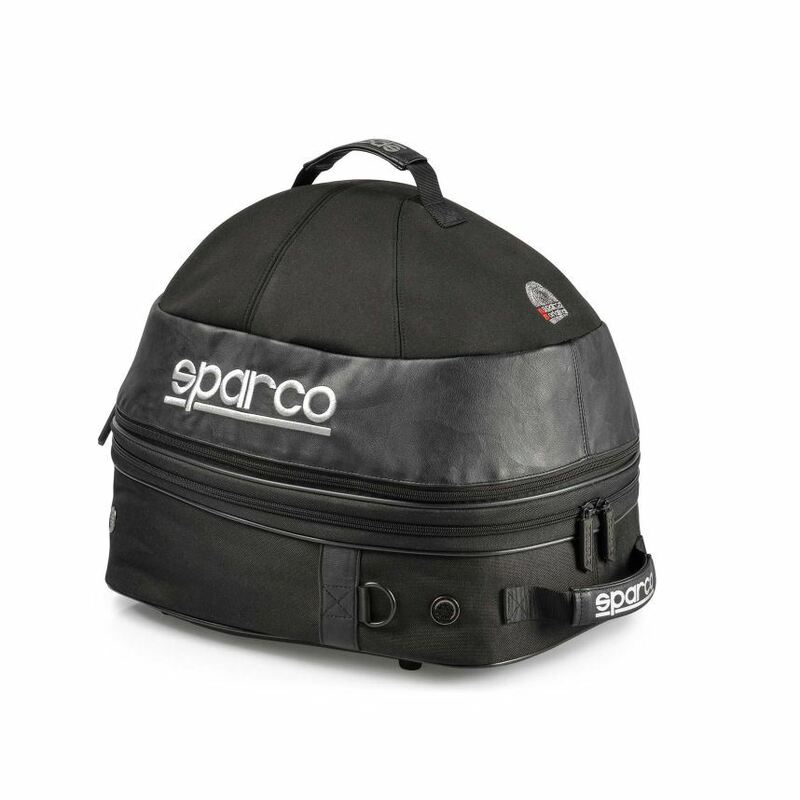 The Sparco Cosmos helmet bag is made from a water resistant, breathable fabric and features 2 carry handles.